ASAT Classic Alnico, TLC-Shaped Guitar from G&L in the ASAT Classic series. 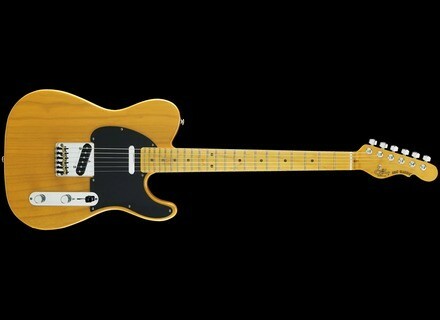 G&L introduces new ASAT Classic Alnico models. Made in the G&L facility on Fender Avenue in Fullerton, California, the ASAT Classic Alnico is available with a range of custom options including body and neck woods, body and neck finishes, neck profiles and pickguard materials. MSRP for the ASAT Classic Alnico starts at $1,500. To commemorate the initial production of these Alnico pickups, G&L has commissioned a special 100 instrument production of ASAT Classic Alnico Launch Edition guitars. The Launch Edition features a Sugar Pine body and coated in a new Autumn Burst finish. The combination of a Sugar Pine body and Alnico magnet pickups harkens back to early prototype instruments created by Leo Fender, the company says.